Have you ever taken your favourite sweater only to find it has many small holes in it? Facing this unpleasant situation, people always blame on moths. But there is another pest that takes up your residence which is capable of doing much more damage than the moth. The culprit is nothing but the carpet beetle, and it’s a larva. Believe it or not, carpet beetles rank as same as the spiders, ants, and flies as one of the typical household invading pest. 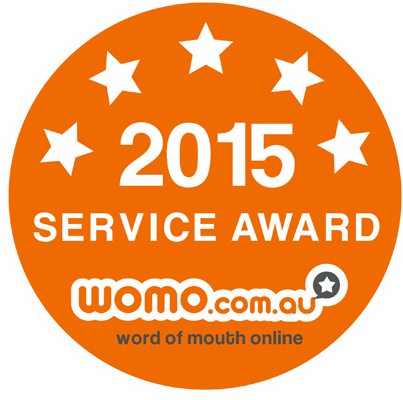 These are one of those pests that have to be concerned needing immediate professional pest control Castle Hill help. 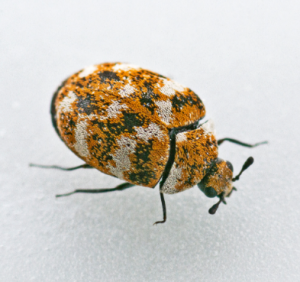 The name ‘carpet beetle’ will tell you about everything, you need to know about the pest. Carpet beetles, as the name suggests, are small beetles found across Australia. They are found both inland and on the coast. They are carpet munching pest where adult beetles measure just 0.5cm. They are difficult to spot and much more difficult to get rid of! Adult carpet beetles feed on plants nectar and pollen, but when they find their way into your house, they will start contaminating rice flour and other pantry items while feeding on them. The larvae of carpet beetle feed on natural fabric, that they make holes through carpets, clothing, and blankets. A major problem with these carpet beetles is that their larva is attracted to the oil found in human body and hairs. They travel across person to person causing an irritating rash. This is why it is better advised to consult Castle Hill pest control to get rid of this problem before they give up too much trouble. How to sort if there are Carpet Beetles in your House? It is quite a tough job to identify their presence. Carpet beetles hide in shady and dark places at your home. Often they are confused with bed bugs. However, carpet beetles do not bite. The bristly hair on the body of the larvae can irritate your skin if you are allergic to them. And as discussed, carpet beetles eat through fabrics so you will be able to see damage in clothing, bed sheets, and carpets. Unlike moth, the carpet beetles typically feed on one part of the fabric at a time creating large and isolated holes in it. They also shed skin that is flaky, dry and translucent in the area they eat. With this tips, you can identify carpet beetles found in your home and check with Castle Hill pest control. How to Prevent Carpet Beetles from Becoming a Nuisance? The carpet beetles feed on nectars so, inspect outdoor plants and flowers before bringing them inside. Keep adults beetles out of your home by sealing any gaps in the windows and doors. Clean your carpets, furniture, and curtains professionally on a regular basis. If you ever find a small infestation or signs of infestation, call out professional pest control Castle Hill who will visit your house and help eradicate the pest. They will also provide proper follow-ups and visits to prevent problems from reoccurring.